Beauty requires sacrifices. But how far are you willing to go in your personal beauty quest? Highlights, perms, extensions, straightening and daily blow-drying damage our hair tremendously. However, it is in our girly nature to want to experiment and look good, and thanks to the modern techniques, there are ways to reverse all the damage you might have caused to your beautiful tresses. I have amazing curly hair, and guess what my favorite hair style is? Of course it is straight hair! My flat iron is one thing I don’t leave the house without for longer than one day. Like most of us I use all kinds of essential oils for curly hair and “take the heat” type of products for my hair, but it was still losing its silkiness, color and shine. I tried changing the shampoo, tried new conditioners and split ends treatments, but nothing seemed to really be working. Professional help was needed ASAP. Of course my goal was to find out what kind of reasonably priced products should I try to use at home without having to treat my hair at beauty salons all the time. My hairdresser recommended Tigi Bed Head Resurrection Shampoo and Conditioner and I think me and these products haven’t been apart ever since. 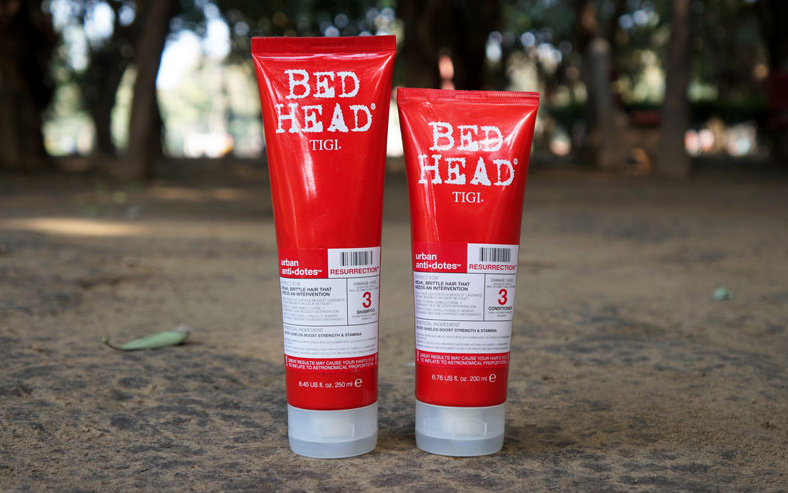 Tigi Bed Head offers three levels of hair treatment through three separate lines of products. Tigi engaged professional hair designers and specialists in developing these products and I must admit that their idea was a success. Tigi Bed Head Resurrection Shampoo and Conditioner is a product from the highest protection degree (#3), so when choosing among the three remember that the more is not always the best. If your hair is not “straw like” and still seems like it has hope, don’t try too hard and use #2 degree products as you might find stronger one a bit too oily for you. The shampoo and conditioner are from the Urban Anti-dotes line and their enhanced formula was created especially for urban residents who expose their hair to the aggressive environment of the city every day. They have thermal protection properties and help to maintain the color of dyed hair. Tigi Bed Head Resurrection Shampoo and conditioner contain high numbers of natural and organic components, but I can’t say these products are purely organic and it is not surprising due to their functions. There is no way an organic shampoo or conditioner could protect your hair and restore it after being exposed to exhaust fumes, humidity and chemical treatments. Tigi Bed Head Resurrection Shampoo and Conditioner contains silicones, which smooth the cuticle of the hair and prevent frizz. 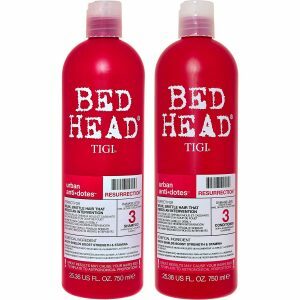 Tigi Bed Head Resurrection Shampoo contains cocomidopropyl betaine for cleansing, conditioning and sealing the hair, amodimethicone for preventing color fading, cenyrimonium chloride for antistatic effect and extra shine, and coumarin for untangling the hair. 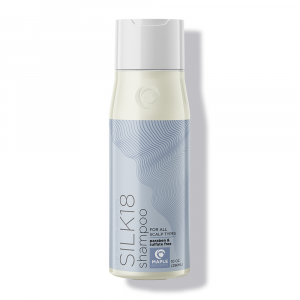 The shampoo is a milky white, slightly yellowish pearly color and has a creamy consistency. The texture and the smell are very pleasant. I must admit I fell in love with the aroma immediately, and it also stays in your hair for a long long time, which is nice. 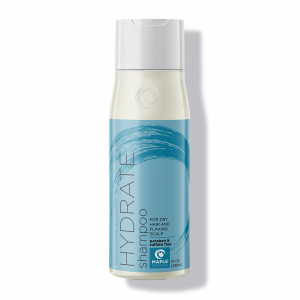 It foams very well, and therefore cleans the hair from unwanted dirt or dust and is quite economical – a 750 ml bottle lasts me nearly half a year taking into account that I wash my hair every other day. For me personally, the most important property of Tigi BedHead Resurrection Shampoo and Conditioner is the moisturizing effect. Naturally curly hair tends to be more dry than other natural hair types and by experimenting with it on a daily basis, I put it in constant danger of split ends and many other unpleasant effects. Tigi Bed Head Resurrection Shampoo makes my hair soft, smooth and shiny. Hydration and nutrition, ladies, only they are capable of returning that healthy look to your hair after multiple experiments. Of course, such products always work better in duets. I have changed shampoos and conditioners a lot, and some of them worked well for the first couple of times, but then there seemed to be a “getting used to shampoo” effect and my hair was sticking out in different directions, felt dry and frizzy, and tangled all the time. Once I tried Tigi Bed Head Ressurection Shampoo and Conditioner together, I knew immediately that I will not be changing my treatment anytime soon. Besides, by buying the two products in together, you save up to 30% of the cost! The conditioner has quite a dense structure, a light color and simply breathtaking smell of strawberries, which remains on the hair for hours and hours. 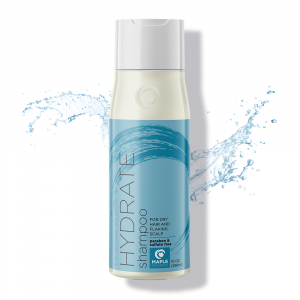 It distributes through the hair easily and envelops every strand of hair, making it thicker and giving it extra protection. If your hair is in desperate need of moisturizing, apply the conditioner every time after shampooing. 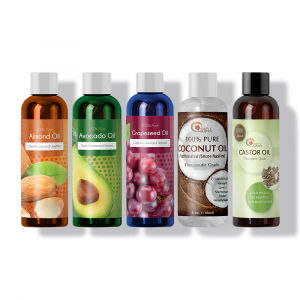 Remember that these products do have a very strong formula, so in some period of time you might get a feeling that your hair is somewhat oily after washing. Don’t start worrying, this is exactly what we need. It means that the treatment is going well, your hair is nourished and hydrated enough, so just start using the conditioner every other time you wash your hair to keep the result consistent. Apply to wet hair, lather, rinse. Repeat if necessary. For best results use together the Tigi Bed Head Ressurection Conditioner. Apply the conditioner to clean hair, leave in for 5 minutes and rinse off thoroughly. 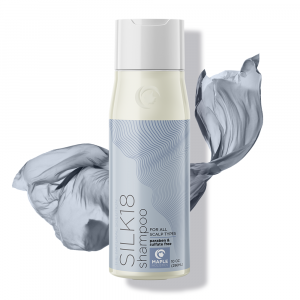 It might seem that it is not rinsing off properly and is leaving a very smooth feeling even while your hair is still wet, but you will definitely see the advantage of such a strong nourishing formula after you dry your hair and it bursts with shine and silkiness! All of us have their own beauty recipes, but some of them might actually harm the health of our hair in the long run, but if you are already facing a problem of weak and dry hair, which tangles all the time and is impossible to comb, Tigi Bed Head Ressurection Shampoo and Conditioner is exactly what you need to bring your tresses back to life. I have been using these products for about a year and this is what I feel: my hair became thicker, it doesn’t frizz at a high humidity anymore, when I straighten it with an iron it looks amazingly smooth and feels silky, while when I decide to leave it curly every curl looks like a spring, hairs don’t tangle and also smell delicious! So start getting rid of that unwanted crisp in your hair and transform it in just a couple of days. These two bottles have replaced numerous haircare products on my bathroom shelf and I highly recommend it to everyone who is looking for something new to try.